and everything is also legitimate"
Fatah and Hamas announced yesterday that they are moving ahead towards Palestinian reconciliation and possible national elections. While the international community is waiting to see the final terms of a Palestinian unity agreement, the fundamental messages of non-recognition of Israel and support for the use of terror against Israel are principles that Fatah and Hamas already agree upon. 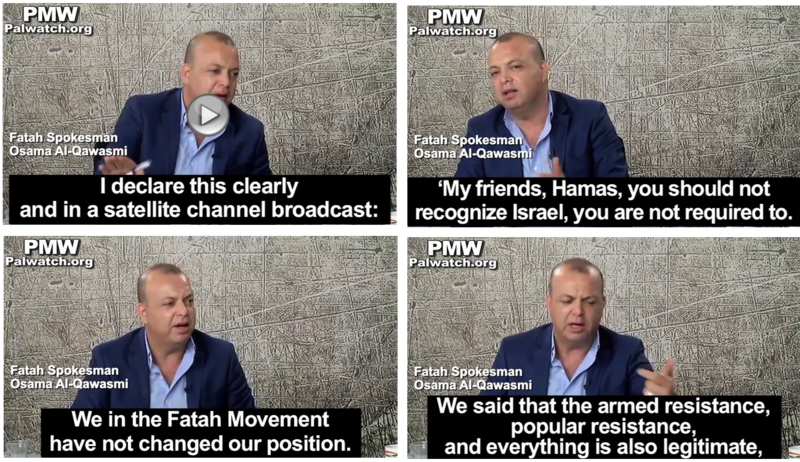 Speaking last month on Fatah-run Awdah TV, Fatah spokesman Osama Al-Qawasmi forcefully told Hamas that it should not recognize Israel, since Fatah itself does not recognize and will never recognize Israel. Fatah-run Awdah TV host: "Has the Fatah Movement recognized Israel in its political platform until now? Fatah Spokesman Osama Al-Qawasmi: "Certainly not. This is not required, and we will not recognize Israel... I declare this clearly and in a satellite channel broadcast: ‘My friends, Hamas, you should not recognize Israel, you are not required to. The PLO, the sole legitimate representative of the Palestinian people, sent a letter of mutual recognition of the State of Israel, on Sept. 12, 1993. You are not required to.'" Al-Qawasmi: "At the Seventh [Fatah] Conference, under threat of the occupation's weapons, we did not change [our policy]. We said that the armed resistance, popular resistance, and everything is also legitimate, but we chose popular resistance as the means that we see as the most effective under the present circumstances." 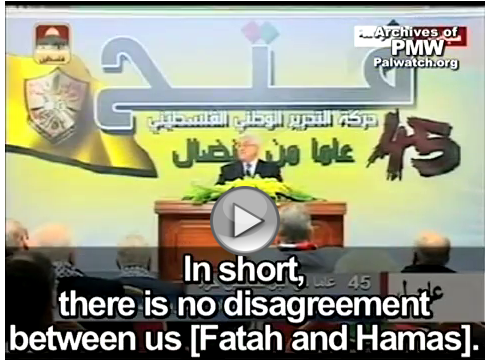 Abbas: "There is no disagreement between us [Fatah and Hamas]: About belief? None! 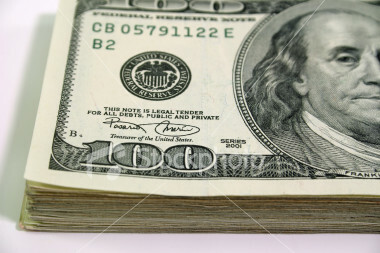 About policy? None! About resistance? None! So what do you [Hamas] disagree about? Why are you not signing the [reconciliation] agreement?" Fatah-run Awdah TV host: Has the Fatah Movement recognized Israel in its political platform until now? We in the Fatah Movement have not changed our position. At the Seventh [Fatah] Conference, under threat of the occupation's weapons, we did not change [our policy]. We said that the armed resistance, popular resistance, and everything is also legitimate, but we chose popular resistance as the means that we see as the most effective under the present circumstances." I would like to confirm the following PLO commitments: The PLO recognizes the right of the State of Israel to exist in peace and security. The PLO accepts United Nations Security Council Resolutions 242 and 338. The PLO commits itself to the Middle East peace process, and to a peaceful resolution of the conflict between the two sides and declares that all outstanding issues relating to permanent status will be resolved through negotiations. The PLO considers that the signing of the Declaration of Principles constitutes a historic event, inaugurating a new epoch of peaceful coexistence, free from violence and all other acts which endanger peace and stability. Accordingly, the PLO renounces the use of terrorism and other acts of violence and will assume responsibility over all PLO elements and personnel in order to assure their compliance, prevent violations and discipline violators. In view of the promise of a new era and the signing of the Declaration of Principles and based on Palestinian acceptance of Security Council Resolutions 242 and 338, the PLO affirms that those articles of the Palestinian Covenant which deny Israel's right to exist, and the provisions of the Covenant which are inconsistent with the commitments of this letter are now inoperative and no longer valid. Consequently, the PLO undertakes to submit to the Palestinian National Council for formal approval the necessary changes in regard to the Palestinian Covenant.